Picking the lucky winners... Sarath Wijetileka (H/D Building And Maintenance, ANCL), Ousman Jayah (DGM Pre-Press Systems And Administration) and Upali Peiris (Head Of Pre-Press Operations) picking the winning readers coupons at the Sunday Observer/Mobitel Most Popular Schoolboy Cricketer Of the Year contest. 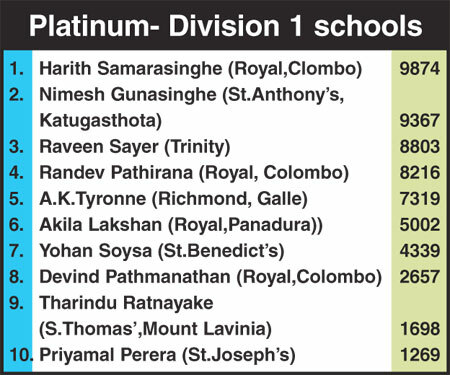 While Pathirana was pushed to the number four slot, Katugasthota Antonian Nimesh Gunasinghe remained at number two with 9367 votes. 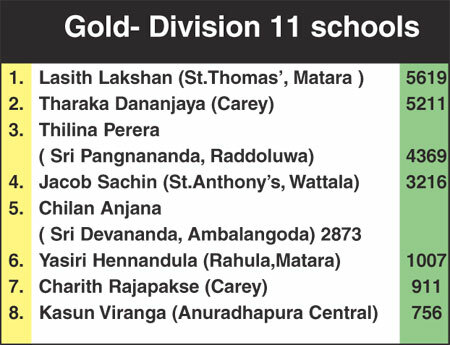 There was a change in the 'gold' segment as well for division two schools when Lasith Lakshan of St. Thomas' ,Matara took the number one position displacing last week's winner Carey's Tharaka Dananjaya (5211) in to the number two spot. 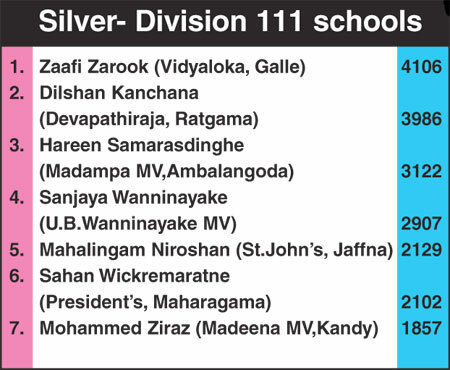 In the 'silver' category for division 111 schools there is a close tussle between Saafi Zarook of Vidyaloka, Galle and Dilshan Kanchana of Devapathuiraja MV, Ratgama. Kanchana who was placed first last week was pushed down to second place by Zarook who polled in 4106 votes to Kanchana's 3986 votes.